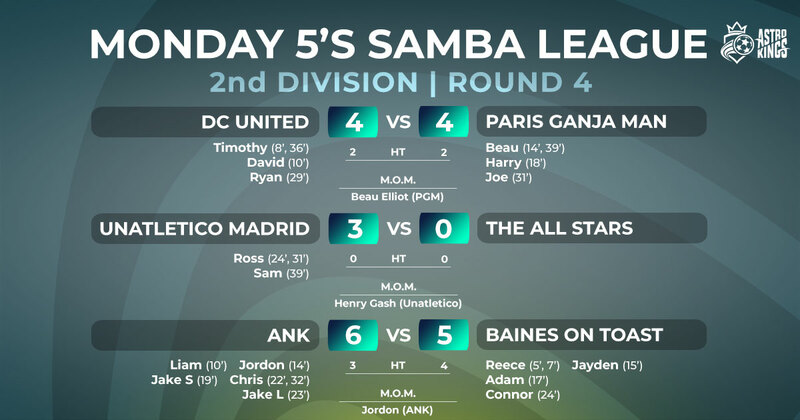 We were treated to plenty of goals in our second Monday night league, 53 of the best! 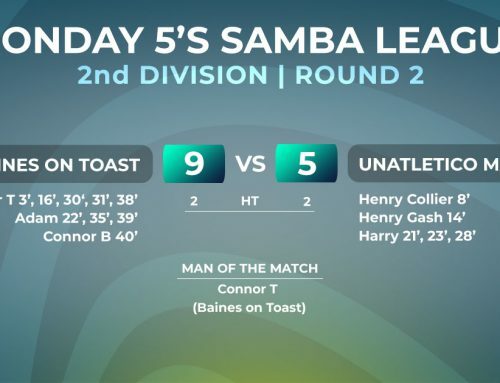 Three of the games were draws at half time, so the results really could have gone either way. 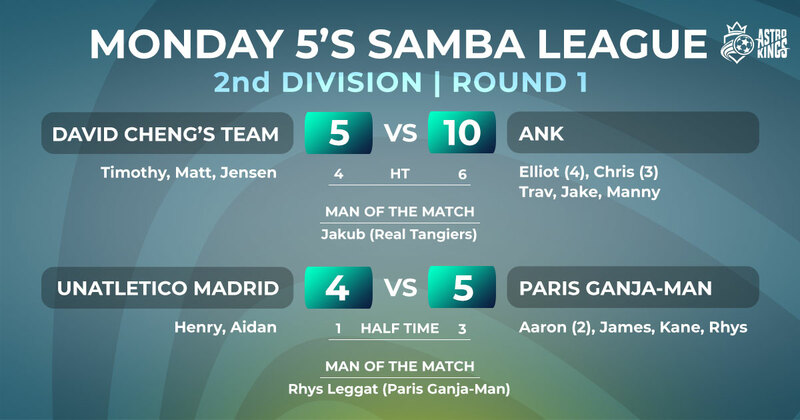 After a going into the break at four-all, ANK, with the help of Chris’ four goals, ensured they took all three points from Paris Ganja-Man. 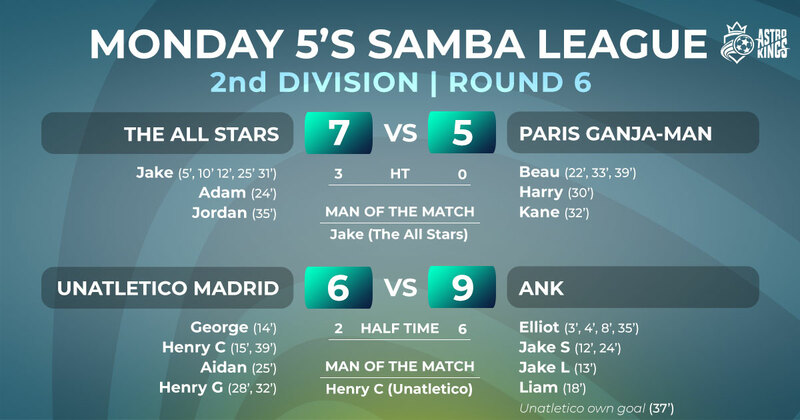 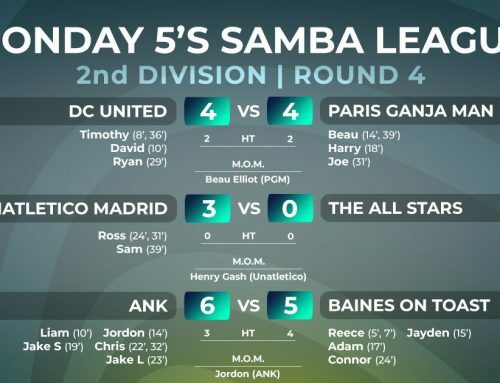 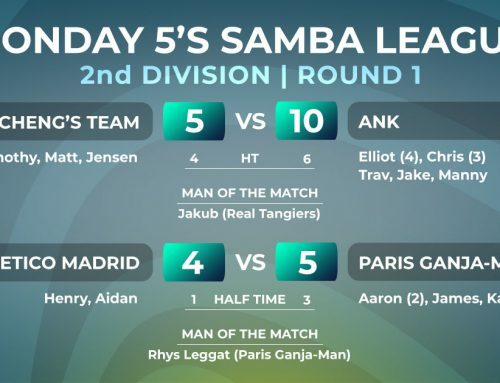 Even Beau’s four goals for Paris couldn’t stop ANK this week who now go eight points clear at the top. 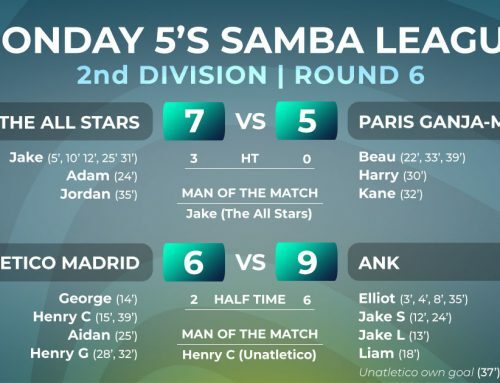 The All Stars signed some talented new players this week, and they came up trumps, beating Atletico Madrid to move up to third. 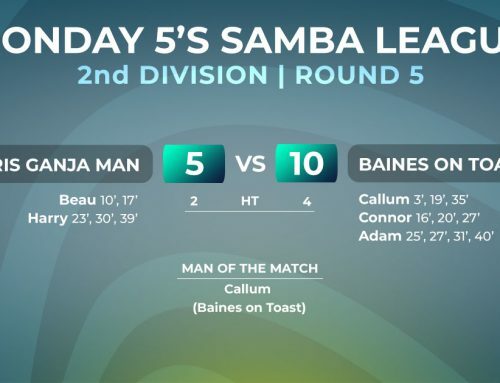 In a double game week, Atletico also faced Baines on Toast. 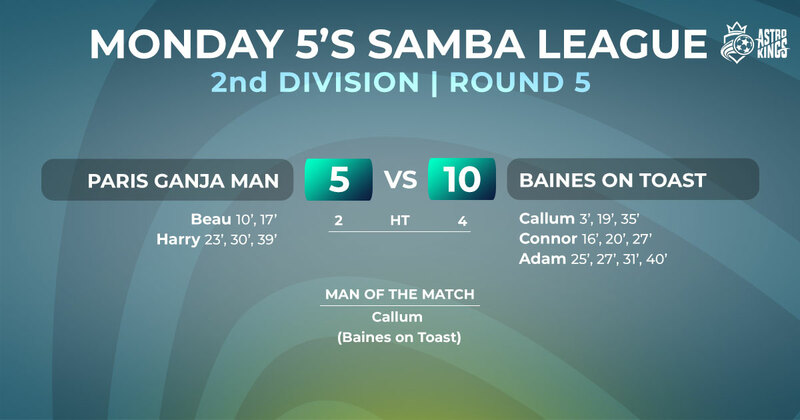 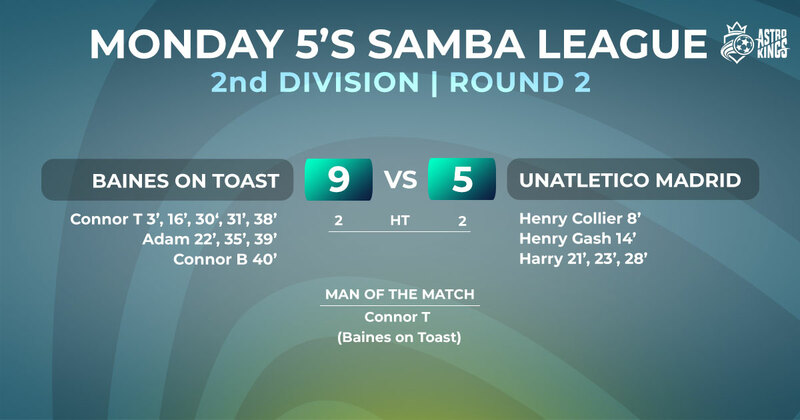 Ross scored five on the night for Atletico to take man of the match, but with Callum and Reece both bagging four for Toast, they helped secure the victory and move into second. 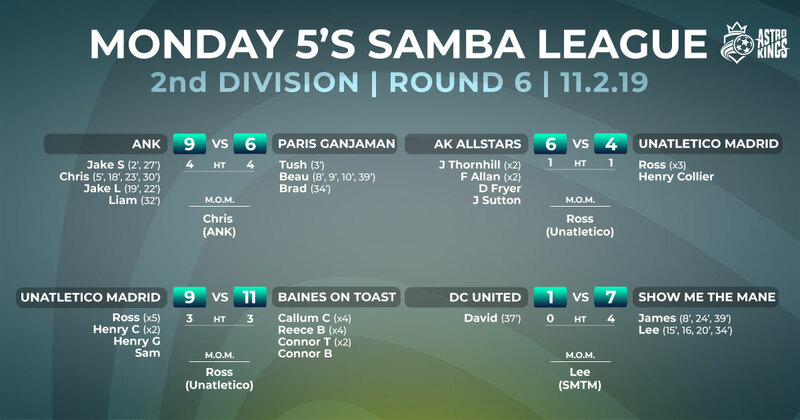 Also league new boys Show me the Mane certainty showed Astro Kings their intentions, beating DC United seven-one with Lee and James scoring four and three respectively.